Most of all; My time management needs work. There never seems to be enough hours in the day. If I can manage my family, dog, house and blog, it should leave me plenty of time to exercise. Right!? What helps to motivate me in the New Year is something new. A pair of trainers, some running kit or a brand new health watch. I always ask for something sporty from my Husband for Christmas to motivate me. Santa brought me some new trainers to help me on my way. 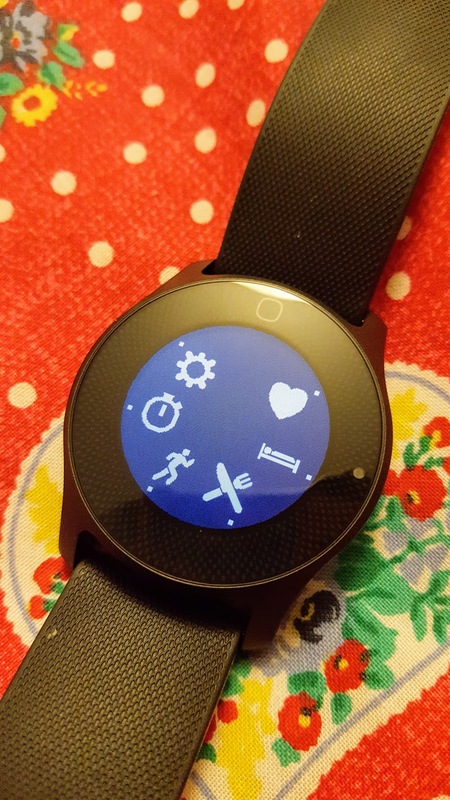 A few weeks ago I also got sent a new Philips Health Watch to try out and review. Perfect timing for my new healthier lifestyle plans that I have in mind. The Philips health watch is designed to help you understand how your lifestyle choices affect your body. The watch recognises different forms of activity (such as running, cycling and walking) as well as sleep and sedentary behaviour, with ‘time to stand up’ reminders. 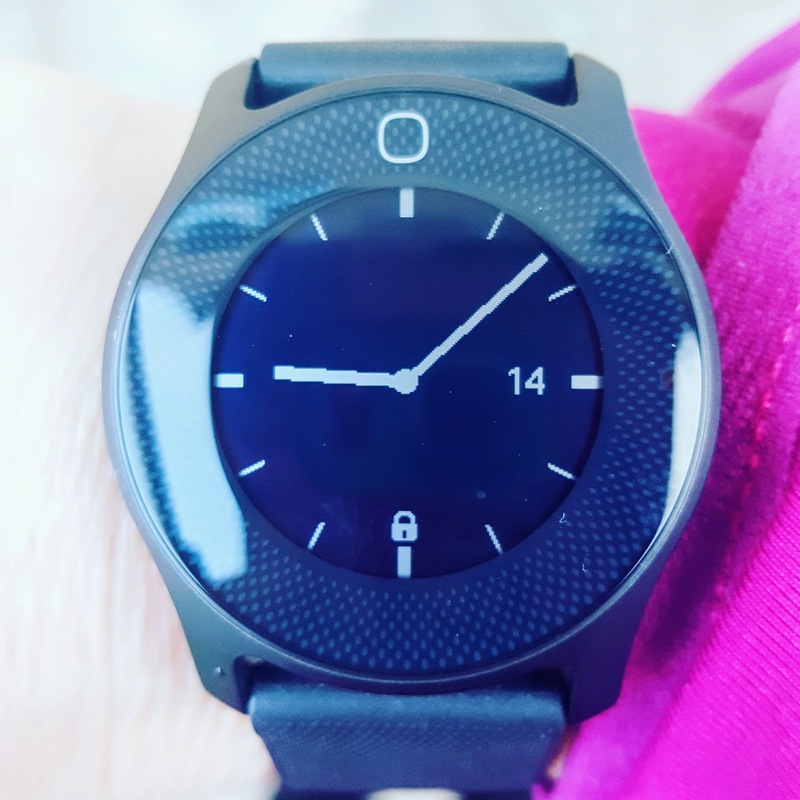 The health watch is part of the brand new Philips Personal Health Program (PHP) which has been developed with support from a range of experts, from doctors and psychologists to smoking cessation and sleep experts – making it uniquely different to others in the market. The data it collects is so accurate that healthcare professionals can even feel confident in using it to assess your health. 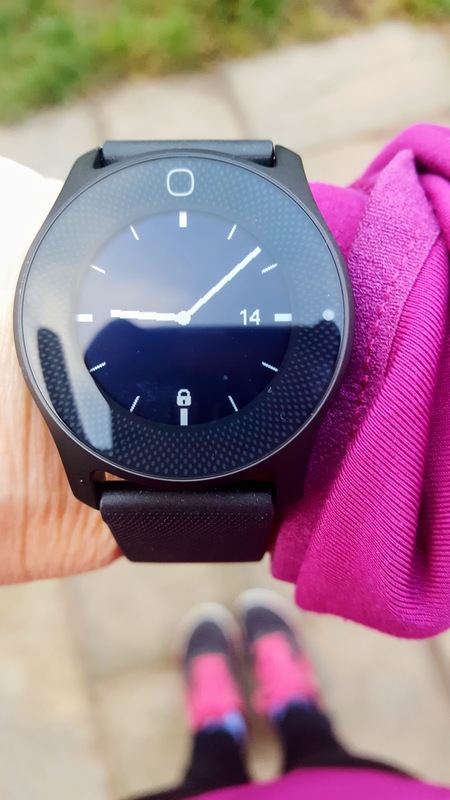 As well as the health watch, the program also features a blood pressure monitor and body analysis scales, all connected together via Bluetooth. So first of all, unpack the watch then download the app to my phone. The PHS Health App. I could not sync the phone to my watch to start with. After a few restarts and unplugging the cable, and a couple minutes later and we are good to go. On the app, you have everything you need to set some goals. You can set a goal of how much weight you would like to lose. Choosing how long you want to take to reach your weight goal. 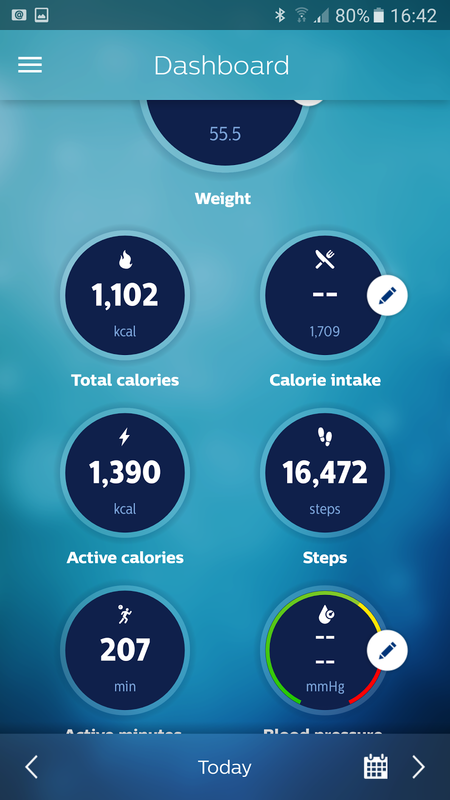 Also, you can add daily target like setting a step goal, or target minutes or calorie counter etc. This is a picture from the Phillips App dashboard on my phone. Pretty fresh eh!? On the dashboard screen, it tells you how many calories you burned that day, how many steps you have done, how many active calories you have burned, how many steps you have taken, how many minutes you have been active for. You can also add you calorie intakes in, blood pressure and weight in manually. To unlock the screen you touch it 3 times on the bottom lock symbol, then on the circle at the top to bring up a menu. Then with your finger simply touch the screen in different positions for all the different options. I really like the watch now I know what I am doing with it. It is relatively simple and intuitive to use. (Top Tip Read the instructions, though). The app has everything you need to get you motivated. The rest is up to you!!! 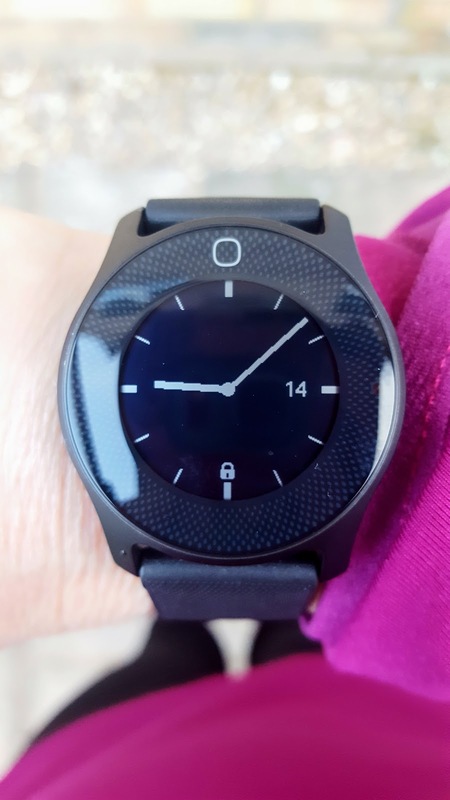 About this post: I received the Philips health watch in exchange for my post; however. I was not paid for this review and all opinions stated are my own. So the fitbit doesn't have this alarm to get up and move? That kind of shocks me. How similar is the fitbit to this one? I had no idea Philips had branched out into this – definitely a hot contender to the fitbit! Thanks Talya. No I didn't until they got in touch. This sounds like a fantastic watch…It sounds like it can really keep you motivated. Thank you Tracey. I have a strap for my phone but it does feel heavy on my arm so I never use it . I love the idea of the 'time to stand up' facility because I spend far too long sat at my desk! What a neat little product. Everyone at running club seems to have a fitness watch of some description. This one does sound pretty fancy. Can it time your run and say how far you have gone too? Aww yes, having a watch at running club for times is a must so you can see how much you improve in months to come. I love the when you start to run it automatically records your running and times it. Great as I usually forget to start my watch!! It also tells you how many active minutes you did each day on the app too. Now that sounds like a great watch! Sounds good, I wonder how it compares to the Fitbit? There's so many about nowadays! Thanks Jo. I think it has a lot more features but I've not had fitbit for a long time. Thanks Jayne. I use to have a fitbit but the moulded strap broke after a few month and you can't buy a new strap for that. This one you can change and comes with a spare strap. Seems to offer more than most of these types of thing and also looks attractive. You do loads and inspire many of us. What a fab review! I lack motivation so I could definitely make use of something like this. Really great idea! Ooh I am so rubbish with fitness technology – I am such a low tech runner but this does look good and with all the walking and running I do it'd be good to know how many steps, miles I have done in a week! Love the connectivity of this Philips watch! It looks pretty smart and low key too! We need to track our activity better so this would help! This watch is pretty cool!! 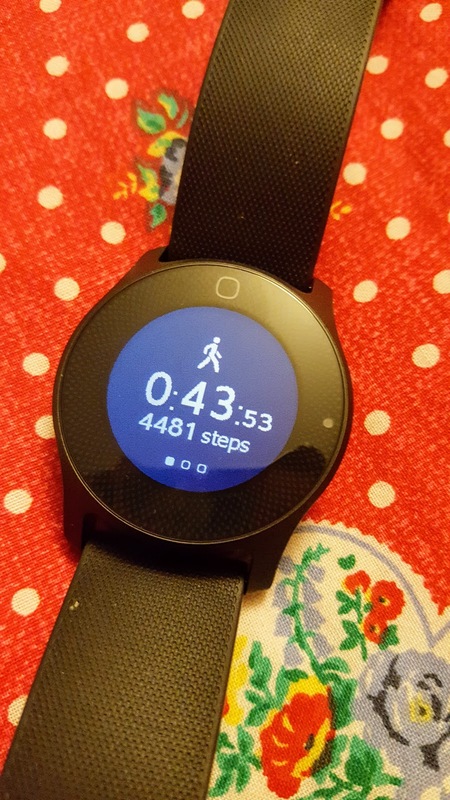 I'm kind of curious just how it counts your steps when's it's on your wrist. Must be arm movements. How crazy! I would love to have one of these!! Thank you Anna, yes I always wonder how the work too!! I like that it looks like a normal watch, whereas other trackers don't really. Sounds like it has lots of great features too! Yes I know what you mean. Some of my running watchers are quite big! !